Without a doubt the MSR Groundhog tent stake is one of the world’s best known tent pegs and deservedly so. 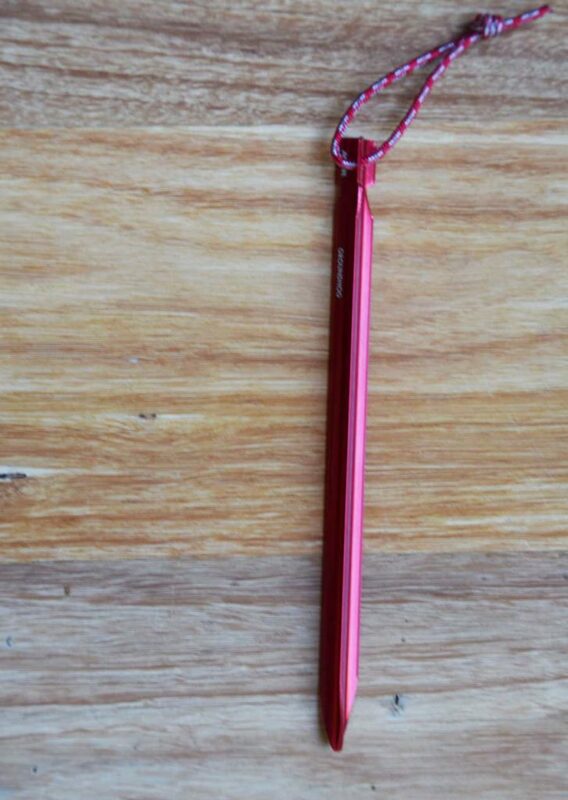 The Groundhogs are sold in a pack of 6 and like most of MSR’s tent stakes are red in colour. While this is a good marketing tool, making this brand of pegs instantly recognisable, the colour also means that you are less likely to loose it as it will stand out in almost ant environment. These tent pegs are ‘Y’ shaped meaning that they have three vanes that look like the letter Y when you look along the stake from the bottom. This shape which is now one of the most commonly used within the outdoor industry grips into all but the softest soils such as sand or snow. The pegs themselves are 19 cm in length however are also available in the lighter and shorter Groundhog mini version. 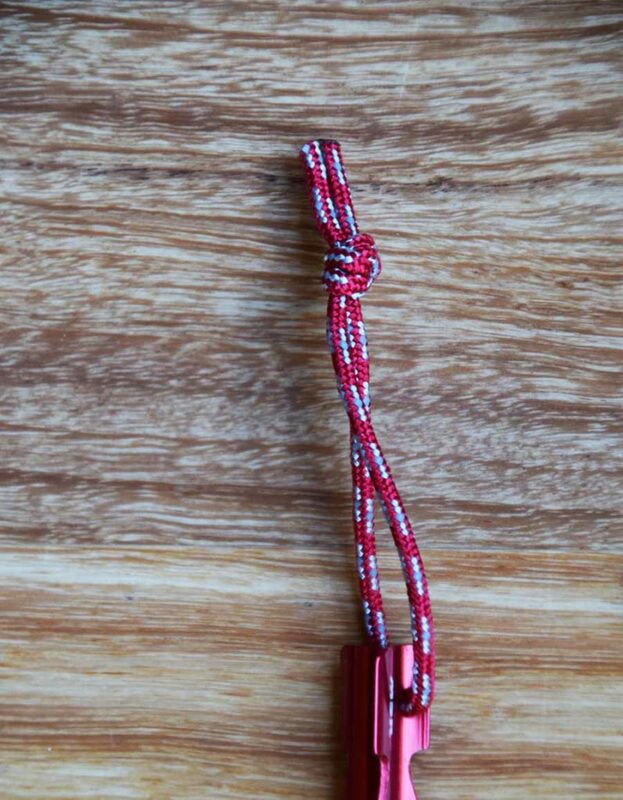 The pegs have a small white and red reflective stale pull cord at the top which makes it easier to remove when packing up and also easier to see if you are outside your tent at night time. There is a notch towards the top of the stake that traps the tent guy lines and prevents them from slipping off. One big bonus on these pegs is that unlike cheaper versions the very tops of the pegs have a neater finish and while I still wouldn’t want to kick these pegs in bare feet they are a lot better than the cheaper copy versions which can have sharp edges. One thing that you can’t see on the pegs is the quality of the alloy used in the manufacture. The MSR Groundhogs are made using 7075 aluminium which has a very high strength to weight ratio. You will see cheaper copy versions of these pegs being sold but they are unlikely to have the quality of alloy in them so won’t be as durable. I refuse to buy cheap pegs anymore having destroyed so many of them in the past. The MSR Groundhogs work out to less than $5.50 each and when you compare quality to price they are very good value as they will last for years. So if you are looking at a new set of pegs to form the main stay of your hiking kit and know the soil is going to be reasonably solid then give the MSR Groundhogs a go. This is an all purpose tent peg that will work in all but the sandiest/snowiest of conditions. They are lightweight, and extremely strong.